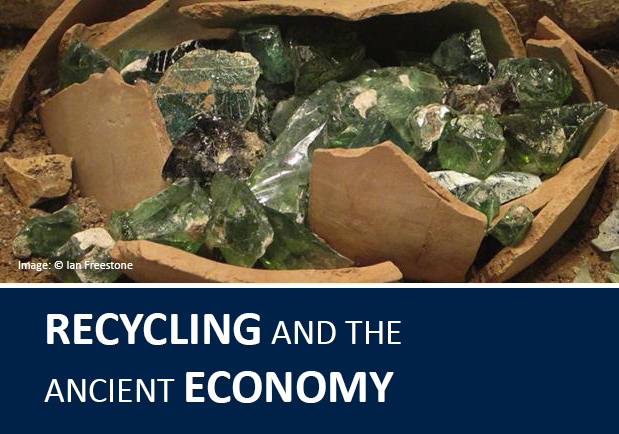 The recycling of materials and objects was extensive in the past, but is rarely embedded into models of the economy; even more rarely is any attempt made to assess the scale of recycling, perhaps because it frequently operated in de-regulated, liminal spaces. Yet recent developments, particularly ‘big data’ approaches, and high-resolution analytical chemistry, are increasingly offering the means to reconstruct, and even to quantify, recycling. This conference, which focuses principally on the Roman Imperial and Late Antique world, will develop and integrate methodological approaches, and begin to adapt our models of the ancient economy to accommodate the significant role of recycling. Crucially, it will investigate recycling during times of economic prosperity as well as ‘crisis’. By fostering discussion between participants with a range of specialisms, this conference and landmark publication will enrich our understanding of the ancient economy, and provide a useful contrast with the global systems in operation today. Most importantly, they will set the agenda for integrated, quantitative studies of past recycling practice.